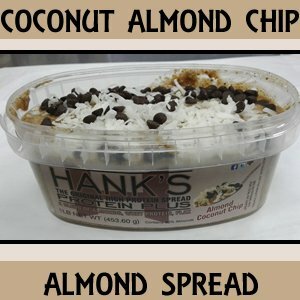 HANKS PROTEIN PLUS Spreads are the original, local Rhode Island High Protein Spread. HANK’S PROTEIN PLUS is packed with 10 grams of protein. Almond spread has 12 grams of protein. HANKS PROTEIN PLUS Spread is made with natural products, starting with a high quality split toasted / roasted blend of peanuts / almonds. We then add a high quality Whey protein concentrate isolate and casein combination to all our flavors. HANKS PROTEIN PLUS does not add oil to the product like the competition does. Instead a formula was created that allows the natural nut oils to diffuse into the blend of nuts and protein. This translates into NO residual oil that sits on top of our product unlike the other 2 protein butter products out on the market. See for yourself…No other high protein spread uses this blend… Compare our product. 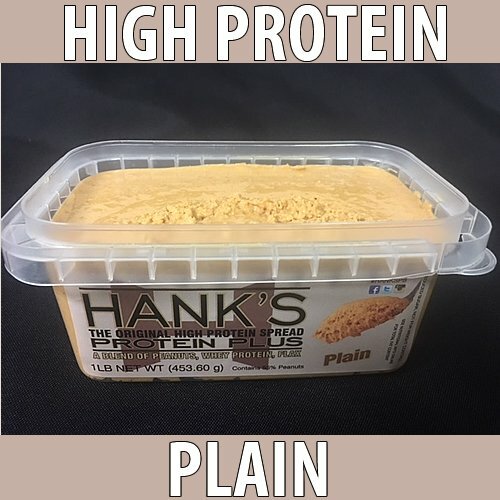 You will select HANKS PROTEIN PLUS spread every time!